A joint conference of officials of the party, state, economic and armed forces organs took place in Pyongyang on Saturday and Sunday to discuss ways for carrying through the tasks set forth by respected Supreme Leader Kim Jong Un in his New Year Address. Attending it were Premier Pak Pong Ju, member of the Presidium of the Political Bureau of the Central Committee of the Workers’ Party of Korea and vice-chairman of the DPRK State Affairs Commission, Kim Ki Nam, Choe Thae Bok, Pak Yong Sik, Ri Man Gon, O Su Yong, Kwak Pom Gi, Choe Pu Il, Jo Yon Jun and other senior party, state and army officials, officials of party and armed forces organs, the Cabinet, working people’s organizations, ministries and national institutions, and officials of local party and power organs and major industrial establishments. 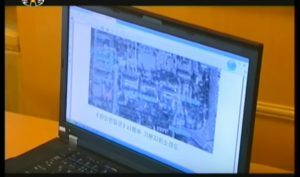 Pak Pong Ju made a report. He said that Kim Jong Un in his historic New Year Address, full of his will to devote himself to the country and people and warm love for them, proudly reviewed the successes made last year and showed an avenue for this year’s march. 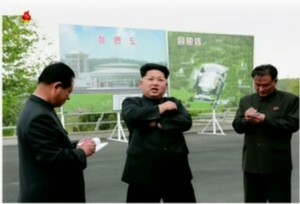 The miraculous achievements in all fields of the revolution and construction last year are precious fruition of the wise leadership of Kim Jong Un, the reporter stressed. He put forward the goals on important items to be carried out by the sectors of the national economy this year and referred to the issues arising in attaining them. He stressed the need to attain earlier the goals for this year, a year of important significance in implementing the five-year strategy for national economic development, and further glorify the prosperous Kim Jong Un era. Then inter-sector meetings of the national economy were held. The meetings worked out the realistic and scientific militant goals in all sectors of the national economy and discussed the measures for hitting them. The meetings discussed in depth the concrete orientation and ways for implementing the militant goals of all fields and units by dynamically waging a drive for producing and economizing as much as possible upholding the slogan of self-reliance and self-sufficiency. Speakers at the meetings expressed their will to fully discharge the missions and duties as vanguard fighters in the new era of the Juche revolution in the all-out general offensive this year in order to attain the height of the five-year strategy for national economic development, true to the Party’s idea and intention. 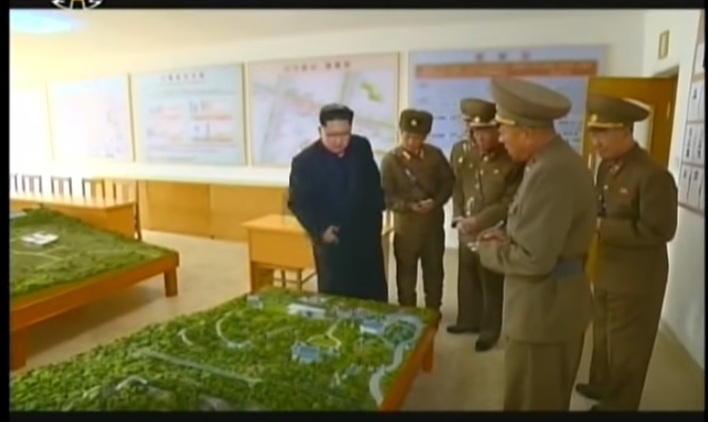 KCTV footage of the meeting can be seen here. 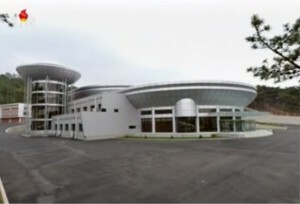 It took place in the new auditorium built for the premier’s office. 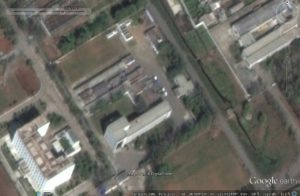 -Following the 7th Party Congress, NK has strengthened its self-defensive military power and become a nuclear power in the East. – as it is the season of construction booming, should increae the production of cements and localize and diversify the production of construction materials. 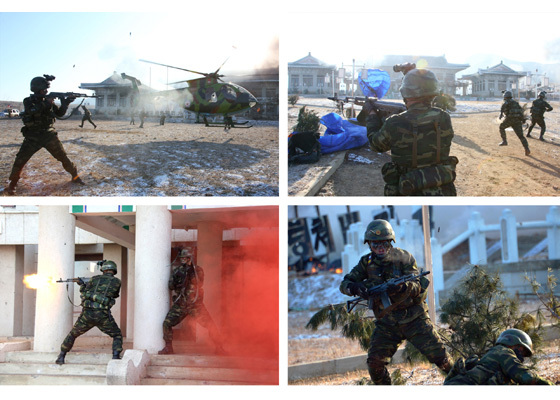 Although Kim Jong-un visited this location in early November, these images were apparently not published until after the combat drill was officially announced on December 11. No doubt they would have given away the secret if they had been. 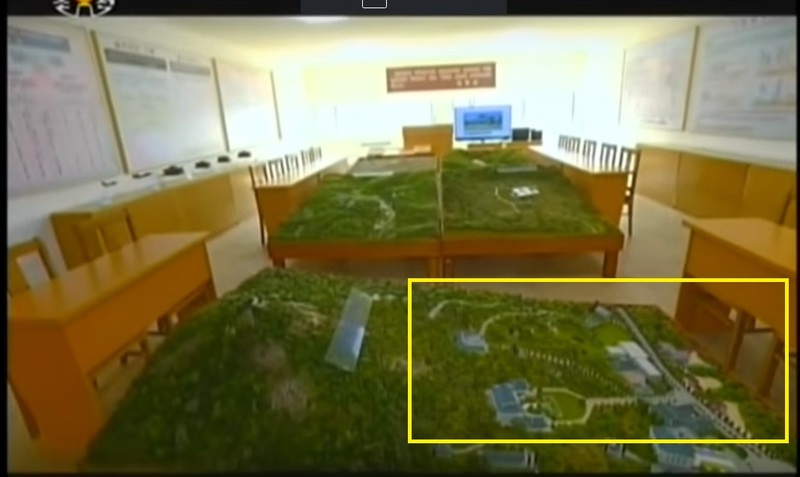 The model has a few discrepancies when compared with satellite imagery, but is a fairly accurate representation of the actual Blue House and its surroundings. So why stage this combat drill now? Inter-Korean politics? 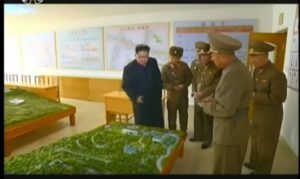 UN Security Council meeting on NK human rights? 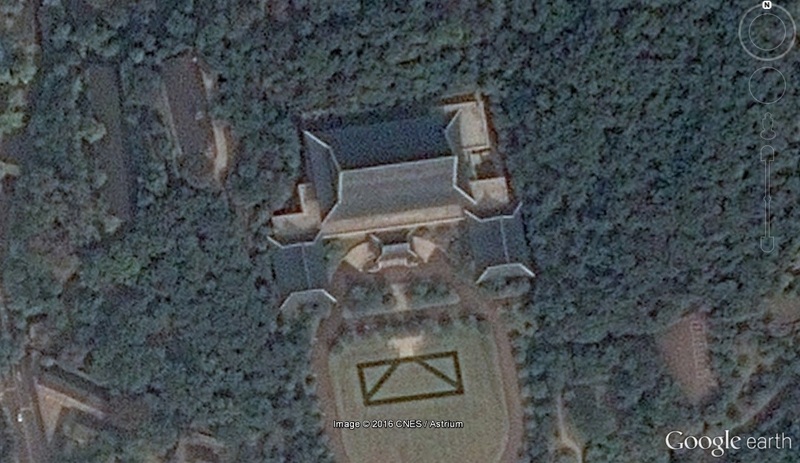 Pictured above: (Top) South Korean military image of the replica blue house built in North Korea (Bottom) A Google Earth satellite image of the Blue House in Seoul. North Korea is preparing to blow apart a replica of South Korea’s presidential Blue House on an artillery range outside Pyongyang, in an apparent propaganda exercise, the South’s military said Wednesday. 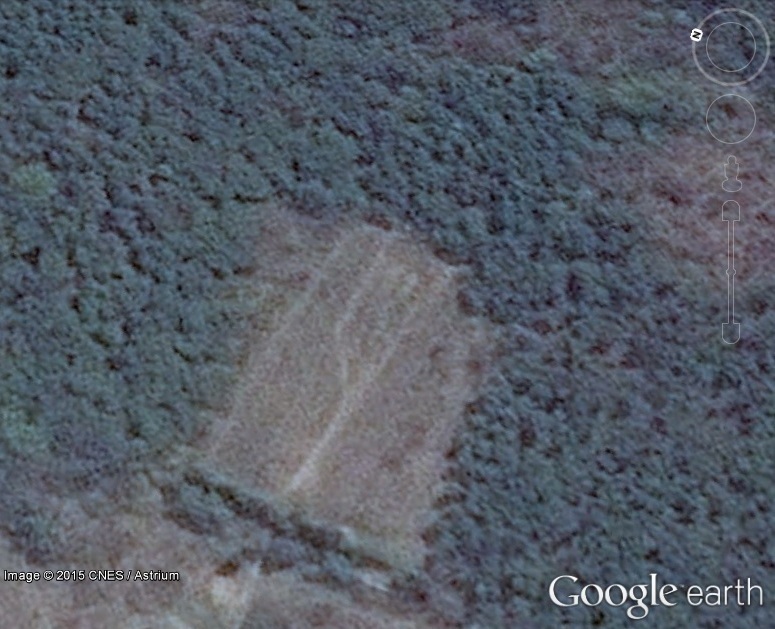 An official with the Joint Chiefs of Staff in Seoul said the North’s military had been detected building the half-sized replica at the Daiwonri range near the capital earlier this month. 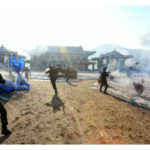 “The North is apparently preparing to showcase a mock attack on the Blue House using the replica as a target,” the official said. 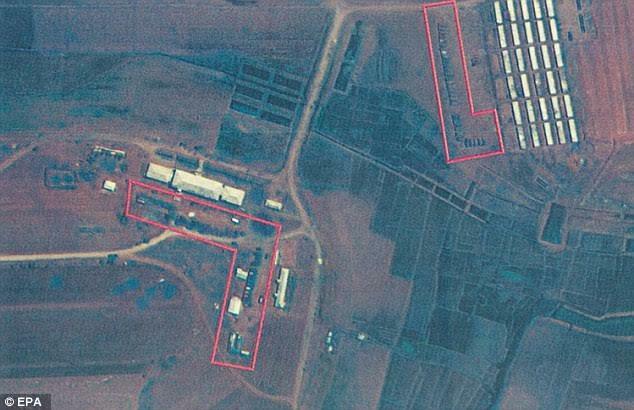 Around 30 artillery pieces, hidden under coverings, have been brought to the range. “The exercise is believed to be aimed at stirring up hostility against the South, summoning up loyalty (to leader Kim Jong Un) and fueling security concerns in the South,” the official said. 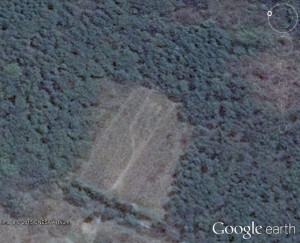 I refer to this area as the “Taewon-ri (대원리) Artillery Range”, and I have previously written about it at NK News here. The Americans call the location “Sungho Dong Military Training Area”. 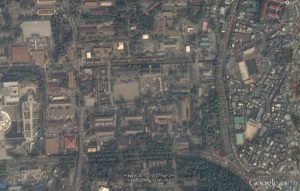 North Korea spent nearly a quarter of its gross domestic product on the military on average between 2002-2012, making the communist nation the world’s No. 1 in terms of military expenditures relative to its GDP, according to U.S. data. According to the State Department’s World Military Expenditures and Arms Transfers 2015 report, the North’s military expenditures averaged about US$4 billion a year. That accounts for 23.8 percent of the country’s average GDP of $17 billion during the period. Oman was a distant second on the list, spending 10.9 percent of its GDP on the military, followed by the African nation of Eritrea with 8.6 percent and Saudi Arabia with 8.2 percent. South Korea ranked 48th with 2.5 percent. In absolute terms, however, the North’s annual military spending during the period ranked only 36th in the world, while South Korea’s ranked 11th, spending an average $26 billion. The U.S. was by far the world’s No. 1 with $656 billion a year on average, way ahead of runner-up China’s $88.5 billion. In 2012 alone, the U.S. military expenditures amounted to $724, while China’s totaled $12.6. 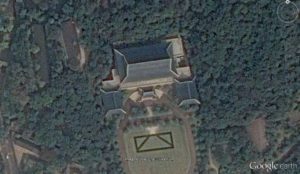 North Korea’s 2012 military spending came to $3.85 billion, while South Korea’s expenditures totaled $31.9 billion, according to the report. 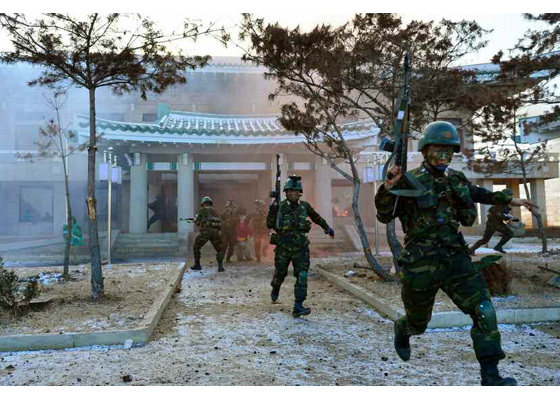 North Korea also ranked first in the number of troops relative to population, with 1.17 million troops. The number also represented the third largest after China’s 2.21 million and the United States’ 1.41 million. 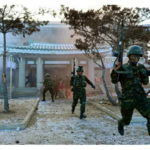 South Korea ranked seventh with 679,000 troops. The U.S. was by far the biggest arms exporter in the world, selling an average $102.4 billion worth of weapons to foreign countries a year during the period. Russia came next but trailed with only $6.8 billion worth of exports. The Presidium of the Supreme People’s Assembly of the DPRK decided to give special bonus to the service personnel and people who rendered devoted and loyal services to present the party with labor gifts. A decree of the Presidium of the SPA on this was made public on Sept. 23. The decree said special bonus amounting to 100 percent of monthly rated salaries and wages will be bestowed on all the service personnel, working people and those who receive pensions, subsidies and scholarships on the occasion of the 70th founding anniversary of the Workers’ Party of Korea. 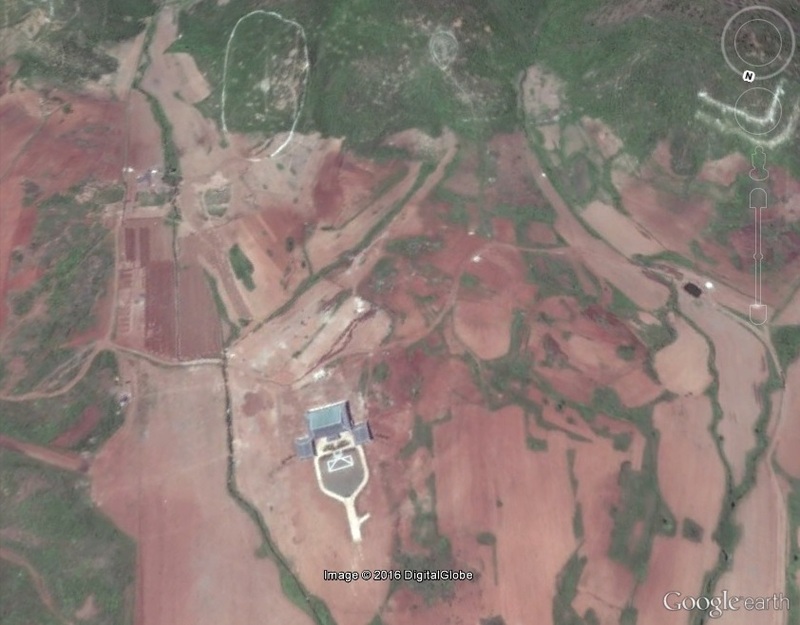 North Korea’s military police force, which operates outside of the control of the normal authorities, is the driving force behind smuggling in the country, despite a nationwide crackdown on the practice, according to sources inside the hermit kingdom. 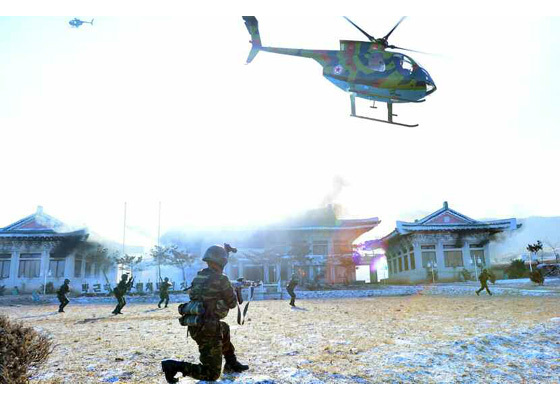 Sources said that as a result of North Korea’s “military first” policy, the military police wield a vast amount of influence over a far-reaching network of contacts in the nation, which allows them to facilitate smuggling by soldiers along the border with China. 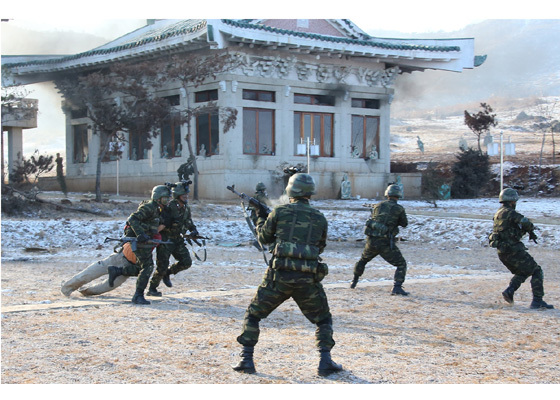 “Most smuggling has been carried out by soldiers, and it’s particularly difficult to smuggle in massive quantities without the help of the military police,” a source in North Hamgyong province on the border with China recently told RFA’s Korean Service. “The military police smuggle precious metals, such as gold, silver, copper, nickel, industrial diamonds and molybdenum. They also smuggle resources belonging to the nation, and plants and animals, as well as historical items, cultural artifacts, drugs, and medicinal herbs,” the source said, speaking on condition of anonymity. Military police help smuggle the goods into China in return for consumer goods, such as food, fertilizer and daily necessities, which are then peddled inside of North Korea, he said. 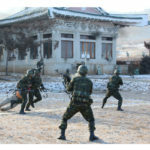 North Korea’s military police force is divided into the Pyongyang Military Police under the direct control of the military’s central General Staff Department, the Mobile Military Police, the Garrison Military Police serving each provincial branch of the military, and the Train Crew Military Police, the source said. The Garrison and Train Crew divisions are those most directly involved in smuggling, he said. 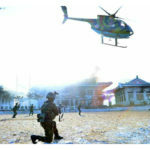 A second source living in Yanggang province, which also borders China, confirmed that the Garrison Military Police have been particularly helpful in furthering the work of the nation’s smugglers. 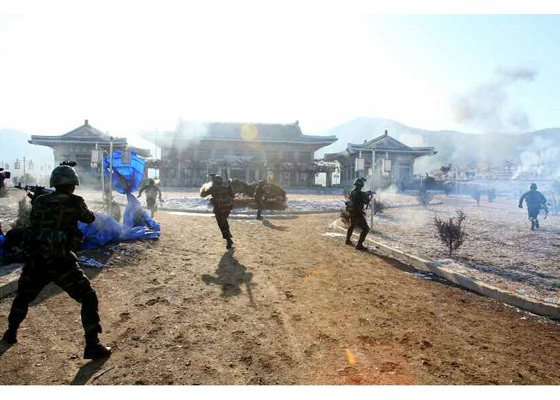 “There’s no problem using trains and cars [to smuggle] with the help of the Garrison Military Police, and people say, no matter how severe the crackdown is, all paths lie open if you have pull with that division,” said the source, who is a resident of Yanggang’s capital Hyesan. Likewise, he said, smuggling has been carried out systematically by members of the Garrison Military Police along the border with China. Sources in North Korea agreed that as long as the economy remains in shambles and the “military first” policy remains in effect, not only resources belonging to the nation, but historical items and cultural artifacts, will continue to flood out of the country into China. In March, sources told RFA that authorities in North Korea were offering a variety of incentives, including increased food rations and Workers’ Party membership, to informants on would-be smugglers who try to cross the frozen Tumen River into China during the lean months of the winter season. The sources said the rewards appeared to have been ordered by the Kim Jong Un regime as part of a bid to crackdown on the country’s pervasive smuggling problem. In January, sources said that demands by North Korean border guards for a greater share of the profits of smuggling had slowed the movement of commodities across the border with China, causing hardships for North Koreans who earn a living by trafficking in goods. They said at the time that because of tightened security measures put in place over the last year, the fees charged by guards delivering goods across the border had risen as high as 30 to 40 percent of the smugglers’ profit compared to 11 percent previously. ORIGINAL POST (2015-5-4): On May 4, 2015, Rodong Sinmun reported that Kim Jong-un visited the “Newly-built General Satellite Control Centre”. This is one of several large construction projects in Pyongyang that I have had my eye on for some time (I thought it was a new theater or stadium). The new satellite control center is located in the Pothonggang District of Pyongyang. 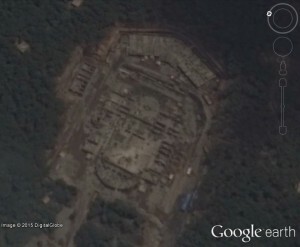 The size of the mission control room is approximately 570 square meters. Other facilities in the building, according to the DPRK media, include a revolutionary history room, auxiliary display and control room, and optical observation room, E-library, lounge, conference room, offices, dining room and bedrooms. Based on commercial satellite imagery, construction began sometime between 2014-4-13 and 2014-7-3, meaning that if completed, construction took nearly one year. 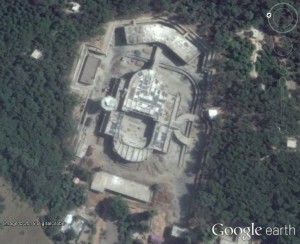 This new control center may also be the administrative home of the National Aerospace Development Administration. Construction of the new satellite control center began shortly after NADA was publicly announced last year. 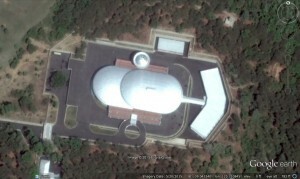 If completed, this new facility raises a question about the status of the older satellite control center in Ryongsong District at the Second Academy of Natural Sciences. 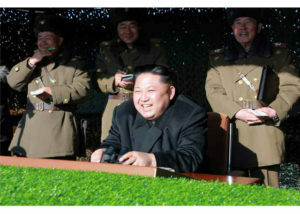 North Korea has increased its defense spending by 16 percent over the past five years despite a moribund economy, Seoul’s defense ministry said Tuesday. The communist North is presumed to have spent US$10.2 billion for national defense last year in accordance with the calculation based on purchasing power parity (PPP) terms, the ministry said, citing figures by the state-run Korea Institute for Defense Analyses (KIDA). 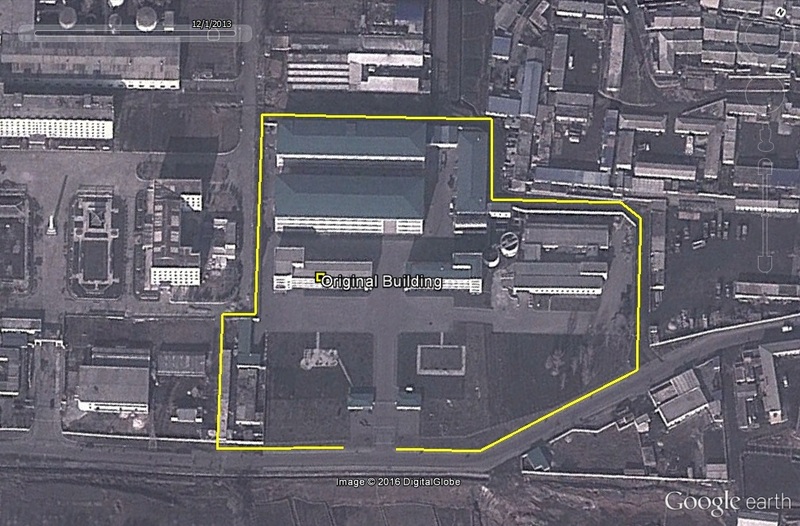 The amount is about 16 percent more than the $8.77 billion in 2009, the ministry said, adding that Pyongyang spent $10.1 billion on its military last year. 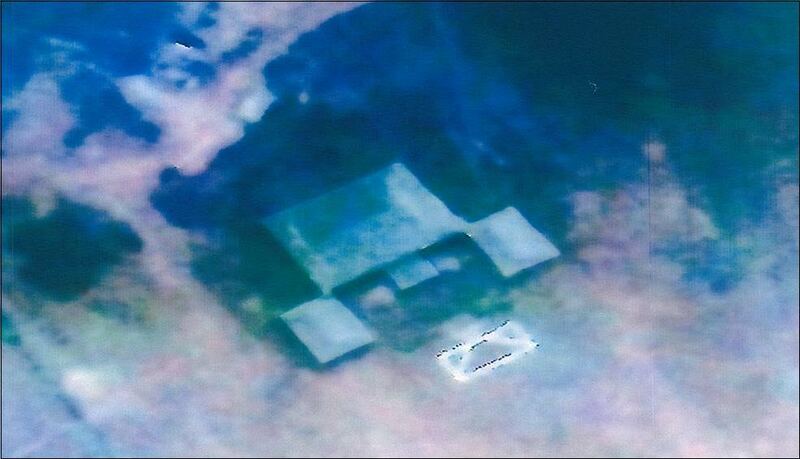 The world’s most reclusive nation has not made public the exact amount of its defense budget. “North Korea said in April that it spent some 15.9 percent of the total budget last year for national defense, which translates into a mere $1.15 billion. But the amount was solely for maintenance and does not include costs for its military build-up and investment,” a ministry official said, requesting anonymity. South Korea’s defense budget last year came to $32.5 billion, some three times larger than that of its communist neighbor. 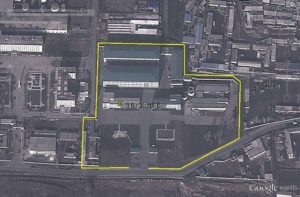 North Korea has been pushing for its military-first policy at the expense of its moribund economy. Its gross national income stood at 33.8 trillion won ($30.9 billion) in 2014, compared with South Korea’s 1,441 trillion won, according to the data by Statistics Korea.